David Sonnek has been appointed new CEO of Nordic venture capital firm Industrifonden. David is currently Head of SEB Venture Capital, and will take up his new position as Industrifonden CEO on June 20, 2018. He supersedes Anders Slettengren, who joins the private equity firm Ratos. “We are very excited and proud to have recruited David. He has a solid background and long experience from venture, and knows Industrifonden well due to several previous co-investments. This, combined with a passion for technology and entrepreneurship, will give David excellent tools to develop Industrifonden and its role moving forward. I also want to thank Anders for his great work during his time as CEO, and wish him all the best at Ratos,” says Charlotte Brogren Karlberg, Industrifonden Chairman. David has, since the year 2000, worked for SEB’s venture capital arm SEB Venture Capital. First as overall responsible for its technology team and, for the past six years, as overall responsible for the entire business. David also has a background from Ericsson where he has held executive positions within strategy, marketing, and development. David has a Ph.D. in experimental atomic physics from the Royal Institute of Technology and an MBA in management from the Stockholm School of Economics. “Industrifonden is recognized in the industry as a qualified investor and long-term partner to entrepreneurs, and has an incredibly important role within Nordic venture capital. I feel excited and honored for the opportunity to work alongside a stellar team as well as the opportunity to lead and develop the firm further together with the team,” says David Sonnek, Industrifonden’s incoming CEO. Industrifonden is one of the Nordic’s leading venture capital investors in early-stage companies within life science and technology, with a $600M fund. For nearly four decades, Industrifonden has been a part of building companies like Arcam, Qlik, Oatly and CellaVision. In its current portfolio, companies like Soundtrack Your Brand, Fishbrain, Footway and Oncopeptides can be found. 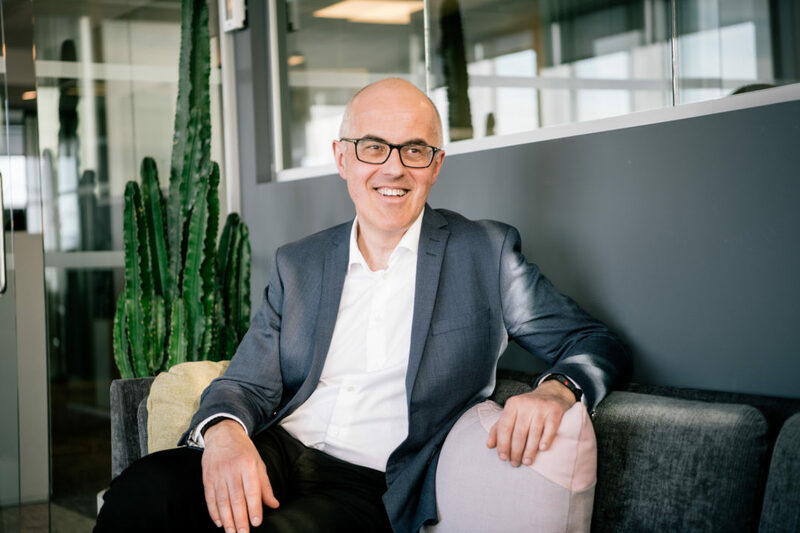 When David takes office as CEO on June 20, 2018, interim CEO Tomas Nygren will assume his regular role as CFO of Industrifonden.